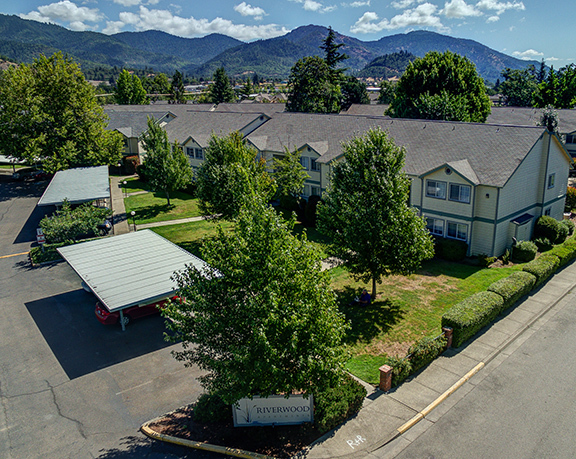 HFO Investment Real Estate (HFO) is pleased to announce the sale of the Riverwood Apartments and Townhomes, located at 1625 SE N Street in Grants Pass, Oregon. Occupying more than ten acres, the 28-buildings sold as part of the portfolio include 136 apartments, 30 townhomes and one single family residence. Completed in stages between 1989 and 1992, Riverwood Portfolio is regarded as the nicest apartment property in Grants Pass. Many individuals who work in Medford choose to live in Grants Pass and the Grants Pass rental market is currently experiencing a vacancy rate of about two percent. There are no new multifamily developments planned or currently in progress in the area. The seller was Camelot 16 LLC of Chico, California, an investor group looking to reinvest into a larger asset. The buyer was Mactrust LLC of Portland, which has plans to continue making improvements to the property. Riverwood’s ’ many amenities include a community clubhouse and fitness room, outdoor sports court, picnicarea and off-leash dog park. Apartments feature air conditioning, and heat pump systems, in-unit washer/dryers, and covered carport parking. The sale represents a price per unit of $90,719 or $131 per square foot.